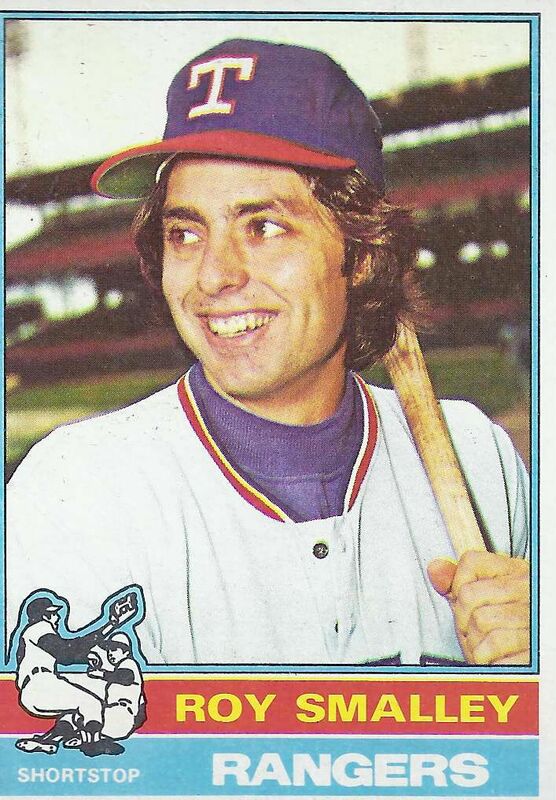 Texas Rangers Cards: 1976 Topps - Roy Smalley. The 1976 Texas Rangers Media Guide touts Roy Smalley as part of the future of the Texas infield. 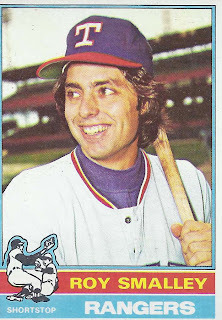 In spite of the shortstop designation on card number 657 of the 1976 Topps set Smalley was seen as a potential rival for Lenny Randle at second base. Toby Harrah had short locked up. Problem was, Roy couldn't get his bat going. In 164 plate appearances for Texas he hit just .225. That was just one point higher than Randle. Smalley's on-base percentage was significantly higher at .363 though and that earned him some playing time. That increased playing time exposed Roy's second weakness, his fielding. Smalley's .963 fielding percentage was not only below the league average at second base, it was also well below Randle's less than sparkling performance. With Randle working hard to nail down second base, Toby Harray ensconced at short, and Bump Wills at Triple A, Smalley's future was looking less and less certain with Texas. On June 1, 1976 Roy knew for certain he no longer had a job with the Rangers. They sent him to Minnesota as part of a trade that brought Bert Blyleven to Arlington. Of course, Roy had reason to smile about the trade, the Twins manager was his uncle Gene. Gene Mauch that is.